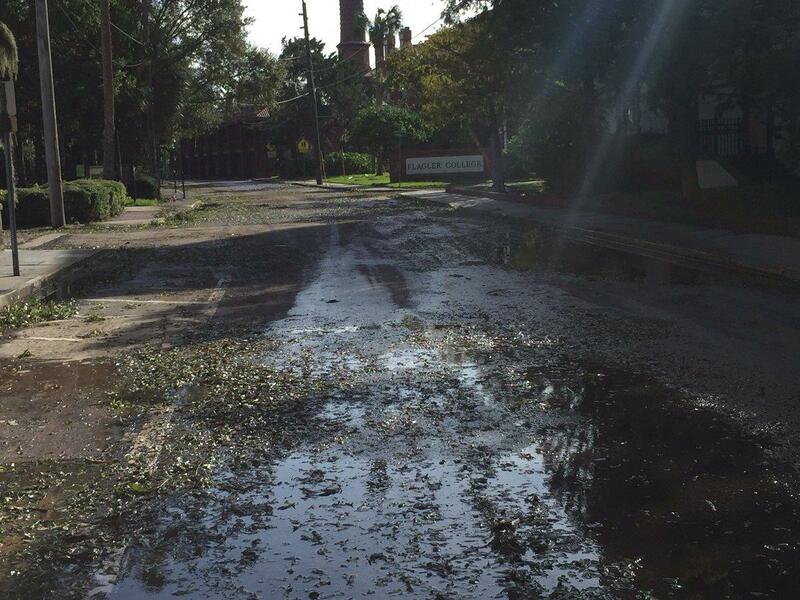 Flooded streets on Flagler College's campus in downtown St. Augustine . Update 4:26 p.m. St. Augustine has lifted the boil water notice on Anastasia Island. In addition to lingering power outages and debris-covered roads, officials are also dealing with millions of gallons of toxic sewage. A steady stream of rain water was spilling into a storm drain on Flagler College’s St. Augustine campus the day after Matthew brushed the First Coast. Massive flooding in downtown St. Augustine and other areas caused sewers to overspill. St. Johns County Utility representative Tony Cubbedge told WJCT at this point, information is limited. But Cubbedge said battered barrier islands like Anastasia Island make up most of the impacted area. Lift stations are stormwater pumps used to send extra water to higher ground. Until power is restored, he said it’s hard to know just how many areas sewage flowed where it’s not supposed to. “I know there were about 24 spots that I’ve seen so far,” he said. 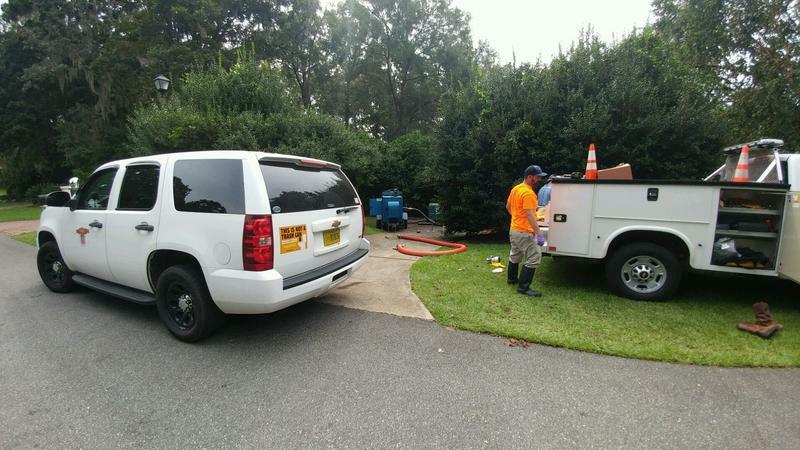 In Jacksonville, JEA said more than 6 million gallons of sewage and stormwater overflowed in six parts of the city. The area hit worst was a surface water spill of close to 3 million gallons in the Ortega River, followed by a million gallon overflow off Holiday Road into the Pottsburg Creek. In accordance with a new rule set up by Governor Rick Scott after two large spills near Tampa Bay, JEA sent notice to the state within a day of the overflow. Last month, WJCT reported on a survey released by Climate Central warning spills would become more common as storms intensify due to climate change. St. Petersburg is facing scrutiny over its recent decision to pump 20 million gallons of sewage from an overloaded treatment plant into Tampa Bay. One national environmental organization is warning: similar overflows could become more common as the climate changes. 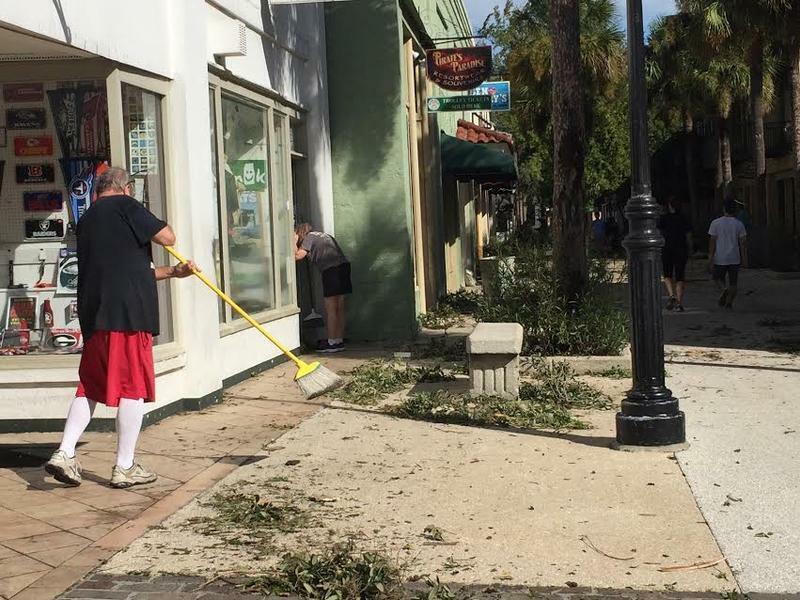 Florida’s capital county, Leon, was among the hardest hit by Friday’s Hurricane Hermine, and the city of St. Augustine was among the communities that heeded its call for help over the Labor Day Weekend.